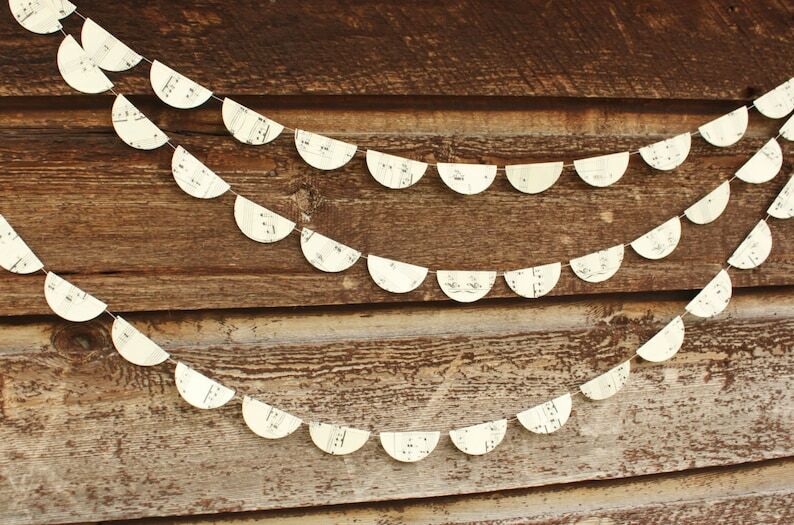 Wedding Decoration made from vintage music sheets. 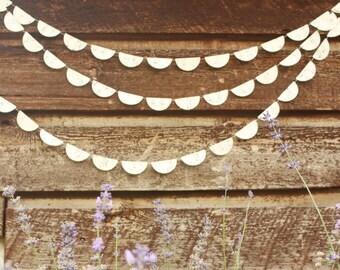 2 inch half circles, 10 foot long garland. 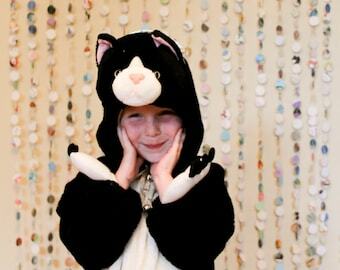 Dear US customers: I ship from Canada, please allow a minimum of 2 weeks for your order to arrive. 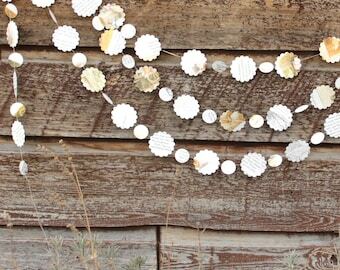 This pretty garland is made from 2 inch wide half circles cut from a vintage music book. * Eco friendly! 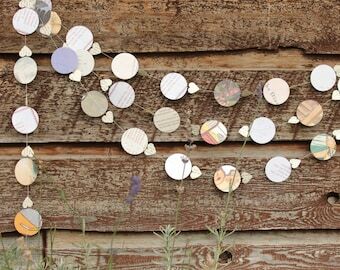 Recycled and recyclable! 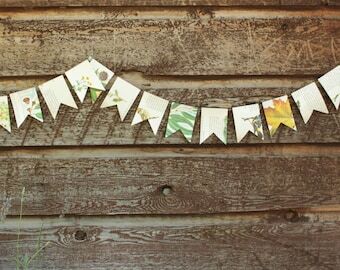 * Use them for weddings, showers, party or just to decorate your home! The half dots have been run through my trusty old sewing machine. 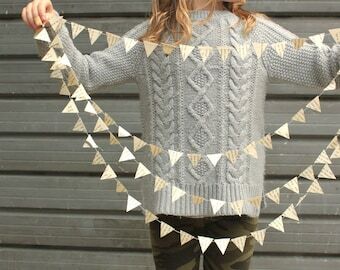 There is enough thread at the end of each garland to tie to something to hang, or to tie the garlands together to make one extra long chain.